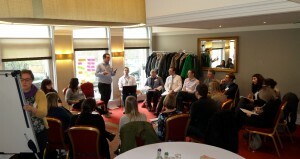 4th April saw the End-to-End and LOCH projects host a joint event at Glasgow’s Hilton Grosvenor Hotel to look at technical issues related to Open Access policy compliance for the REF. The morning session consisted of a series of short ‘show-and-tell’ sessions whereby participants generously gave up their time to demonstrate how the repository and research information systems they use can support the new requirements, which came into play on Friday 1st April 2016. The organisers are in the process of writing up a more thorough report, to be published on the LOCH and End-to-End blogs in the next couple of weeks.